Very nice accommodations; lots of space, nice light. Nice patio. 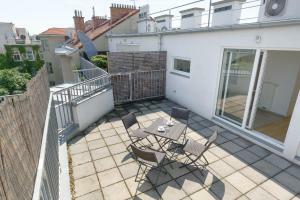 Good located, easy to get a key, nice terrace, comfortable bed, good wireless connection. The apartment was clean and nice, location was good. The self-check-in process was good, but we had to wait to the exact time of check-in, it didn't let us in even 1 minute before the check-in time, which was a bit annoying since the apartment was obviously ready in that time. The interior of the apartment was very nice and new. There was a washing machine (no detergent provided, though), and a small kitchen with microwave and two burner cooktop. The price was really great, especially splitting it between three people. It's honestly what you'd pay to stay in a hostel but with a nice, private apartment. The tram stop is very close. Great location, near the city center and the Stadium. Perfect for a short city break. We really loved the easy and quick self check-in. Great apartment, perfect for a family stay comfortable rooms with TV, aircon and wardrobe in each room big living room with proper kitchen and a terrace.. big bathroom.. quite literally home away from home.. (also very quite no disturbance from neighbors or street noise..) Tram stop just around the corner.. & very helpful staff..! Very good, comfy, clean and cosy apartment. We parked in the street, for free, the AP is big, had all the stuff for cooking, the rooms very comf, good wifi, and 600-700m from the Metro and Train stations. 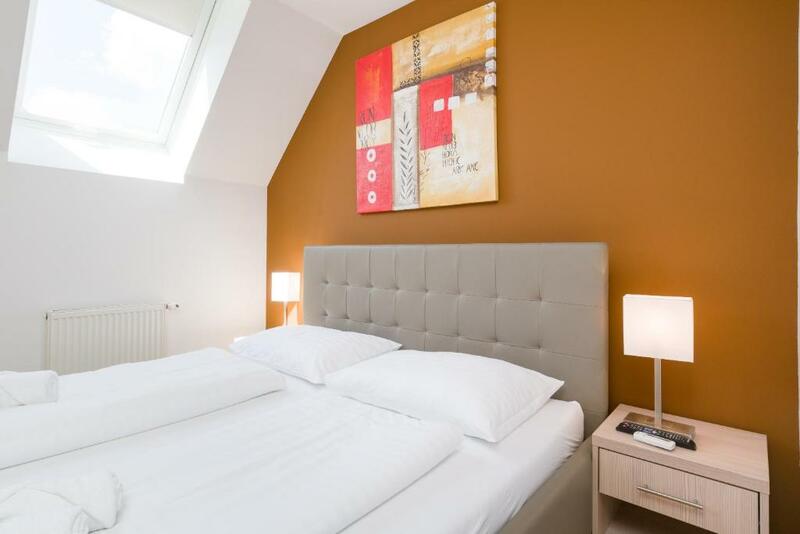 Lock in a great price for Vienna Stay Apartments Spring 1020 – rated 8 by recent guests! 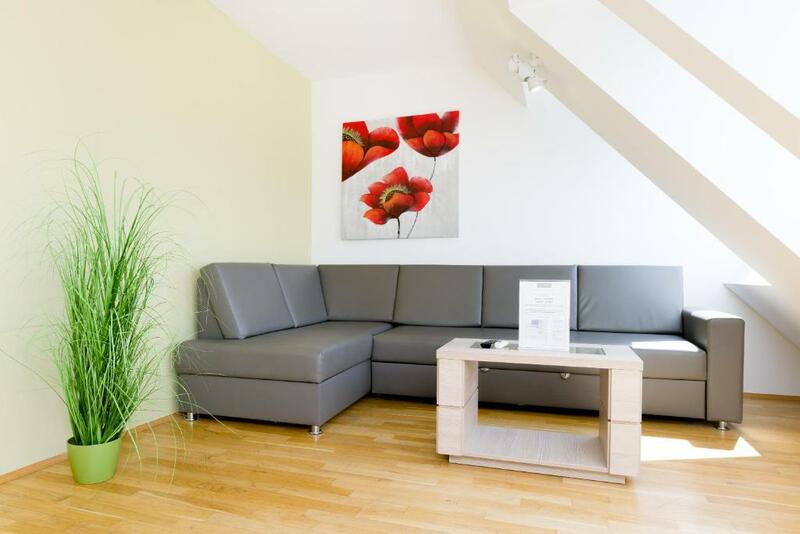 Vienna Stay Apartments Spring 1020 This rating is a reflection of how the property compares to the industry standard when it comes to price, facilities and services available. It's based on a self-evaluation by the property. Use this rating to help choose your stay! 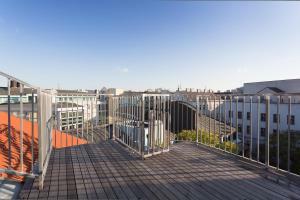 Vienna Stay Spring 1020 offers spacious and modern apartments with free WiFi in the district of Leopoldstadt. 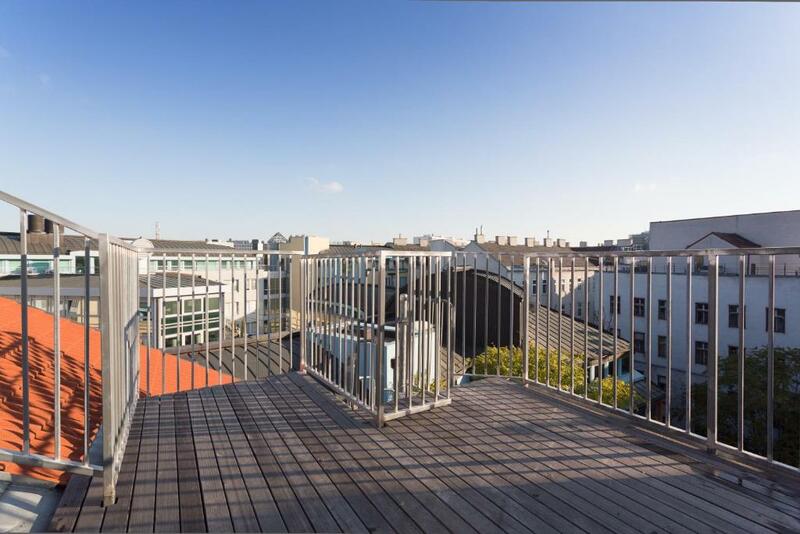 The property is 1,650 feet from the Praterstern Metro Stop providing connection to the city center and Danube Island. Apartments here feature a living room with an LCD cable TV, a kitchen with a dining area, and a bathroom. A washing machine, dishwasher, and a hairdryer are also available. Most units come with air conditioning and a terrace. The Prater Amusement Park is 2,650 feet from Vienna Stay 1020 Spring. 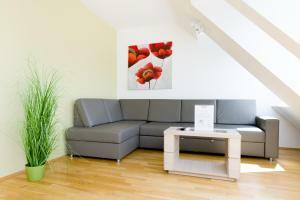 When would you like to stay at Vienna Stay Apartments Spring 1020? 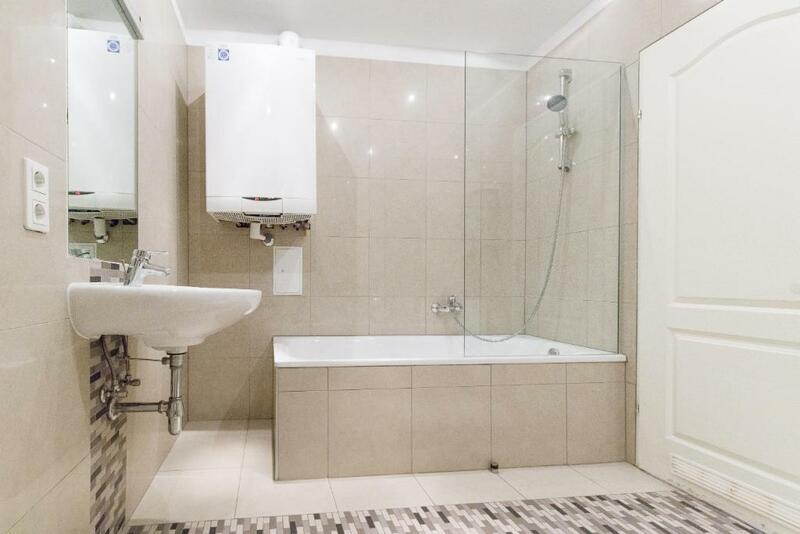 This studio features a washing machine, stovetop and microwave. This studio has a oven, electric kettle and microwave. This apartment has a electric kettle, oven and dining area. 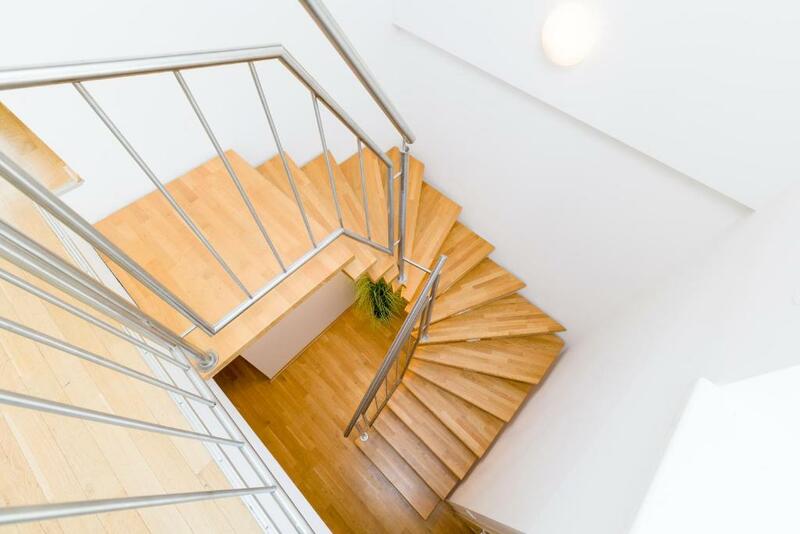 Set in Vienna, Vienna Stay Apartments is 1 km from Giant Ferris Wheel and only a few steps from the U2 Taborstraße Metro Station. Vienna Prater is 1.1 km from the property. Free WiFi is provided . The accommodation features a cable flat-screen TV. Some units have a dining area and/or terrace. There is also a kitchen, fitted with a microwave and toaster. A refrigerator and stovetop are also featured, as well as a nespresso machine. Each unit is equipped with a private bathroom with a shower and a hair dryer. Towels are offered. St. Stephen's Cathedral is 1.4 km from Vienna Stay Apartments.. The nearest airport is Vienna International Airport, 17 km from the property. 02. Leopoldstadt is a great choice for travellers interested in city walks, monuments and sightseeing. House Rules Vienna Stay Apartments Spring 1020 takes special requests – add in the next step! Vienna Stay Apartments Spring 1020 accepts these cards and reserves the right to temporarily hold an amount prior to arrival. The property will contact you via email for check-in arrangements. Please do not contact the property via phone, except in case of emergency. The floor under the bed was dirty and full of rubbish. The following repair works should be made: changing the bulb over the bed (right side), fixing the kitchen table and the soap dish in the shower, the shower head was calcified. There was no cutting board. The apartment is located in an old building, the common areas of which are pretty dire. They are very old and in very bad shape. My friends and I were a bit horrified when we first walked in. 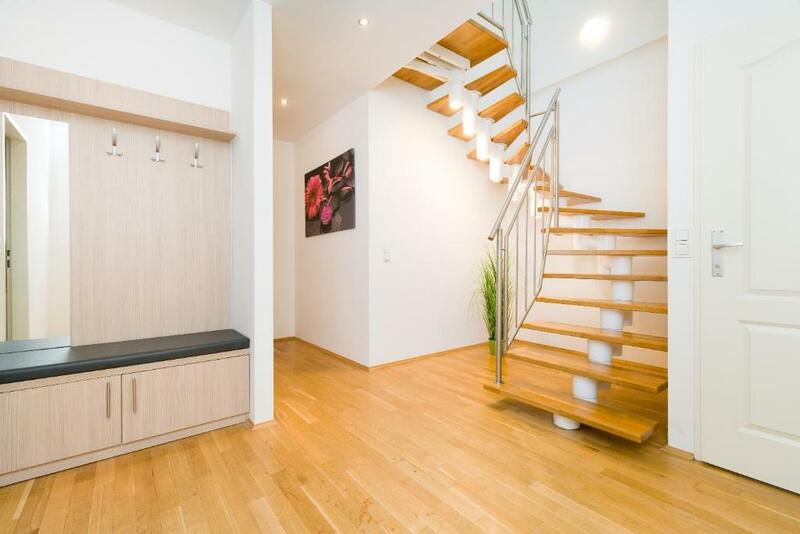 However, the interior of the apartment is nice and new. The closest U-Bahn stop is a bit of a hike through an OK but not great neighborhood. Great stay but property was quite dirty, bathroom was dirty had to wash it down, there was a large gathering of ants around an orange peel in the living room. Shame as a pretty apartment and decent size. The apartment is nice, but the building itself is dodgy and dirty. Next to our door was a sink full of black water, the entire building is poorly maintained. There are two different apartments, talking about the one on the 3th floor. Also the place smelled of mold, which went away after enough ventilation. Not ok when paying a standard 50 euro cleaning fee. It could have been cleaner, and the light was terrible in the bathroom. the Neighborhood.. & the Building seemed a bit rundown and shady..! though we did not face any problem with parking the car on Street or walking in the street.. Perhaps that's just the way City looks.. The shower hose in bathroom needs replaced; the hose is breaking and doesn’t allow enough water pressure to shower. Kitchen: needs a spatula so you can make eggs. Also, please provide coffee filters, salt, pepper & sugar packets. 1 roll of paper towels and a new kitchen sponge at the sink would also be nice to have for guests.